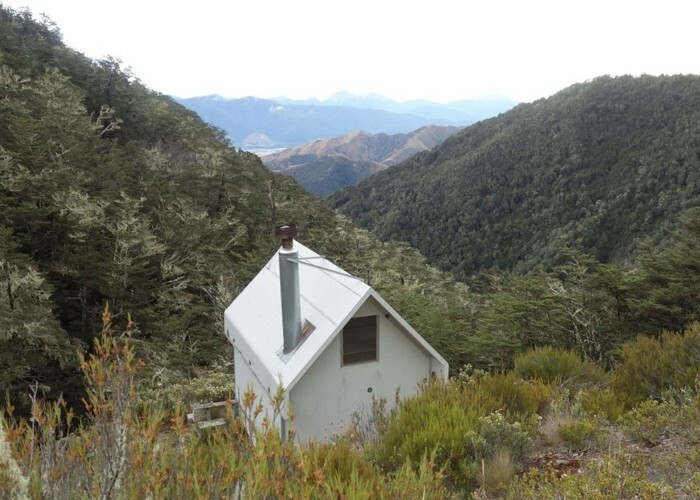 Hut at the treeline beneath the Turkeys Nest, an alpine basin in Wye Reserve. Turkeys Nest Bivvy Feb 2019 • By glennj. Licence: C.
Via the Wye Route from Leatham Road. Added 28 August 2013 by MatthewMatthew. No revisions.